FREE tickets now available under registration/purchase products; Limited quantity, get yours now! It's that time of the season. Travel only if you deem it safe. 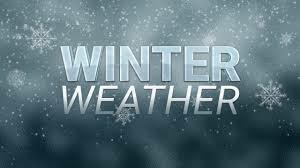 Watch our News Column for any cancellations. 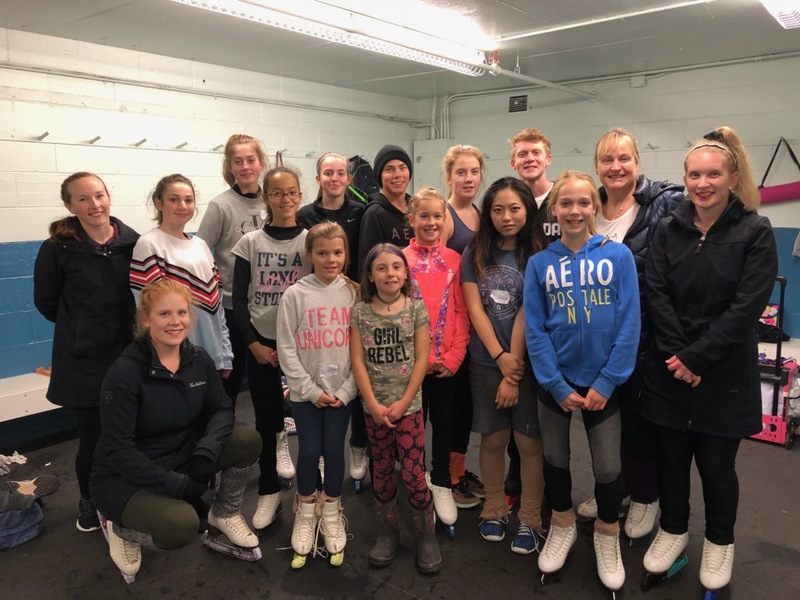 STARskaters Kicked off the Season with a Warm Welcome to Guest Coach Mary Liz Wiley at our 2018 Motivational & Education Days! Welcome to the Sherwood Parkdale Skating Club and our Registration site! Sherwood Parkdale Skating is a member of Skate Canada. We follow their vision & values to "Inspire all Canadians to Embrace the Joy of Skating. Skating instills a love of physical activity that contributes to the health and happiness of all who participate. Pursuing learning and reaching goals in the company of others creates a sense of community and a willingness to give back to one’s larger community." 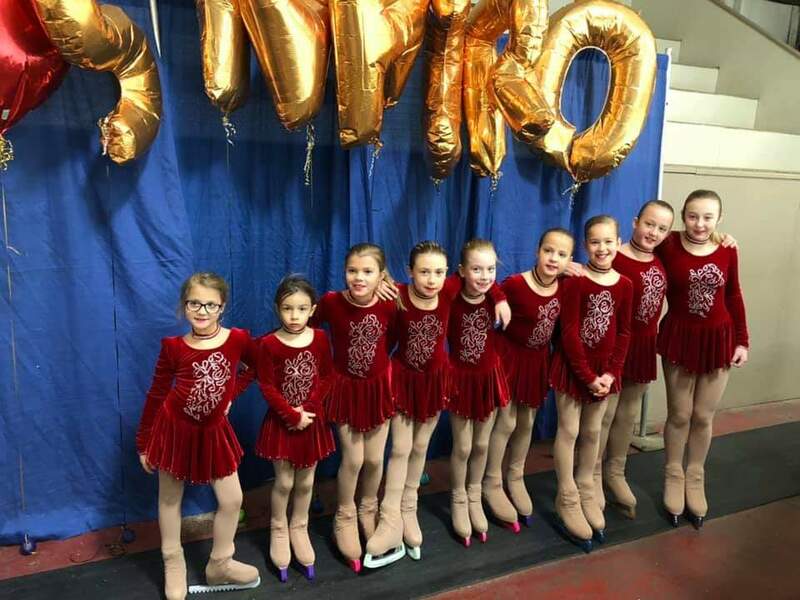 We offer progams in Canskate, Sledge Canskate, STARSkate, Competitive Skating, Adult skating and Synchronized Skating.The Club is managed by a Board of Directors. 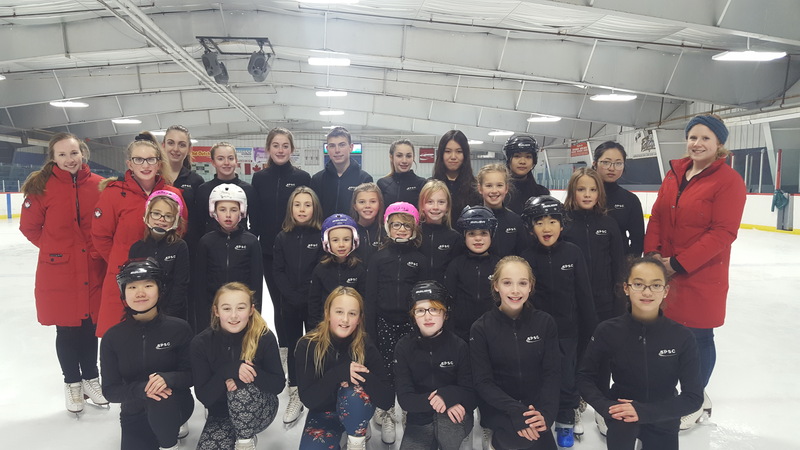 Day to day programs and activities are operated by the Club Professionals who are National Coaching Certification Program (NCCP) trained and/or certified as well as certification for specific levels within Skate Canada . Board members have volunteered to take on the responsibilities of running the Club so our children can learn and enjoy skating, whether their goal is recreational skating, figure skating, hockey, ringette, or becoming a competitive/test stream skater. Skating is one of the most popular sports in the world today, come join us! Synchronized Skating Returned this Season with awesome success and amazing fun! 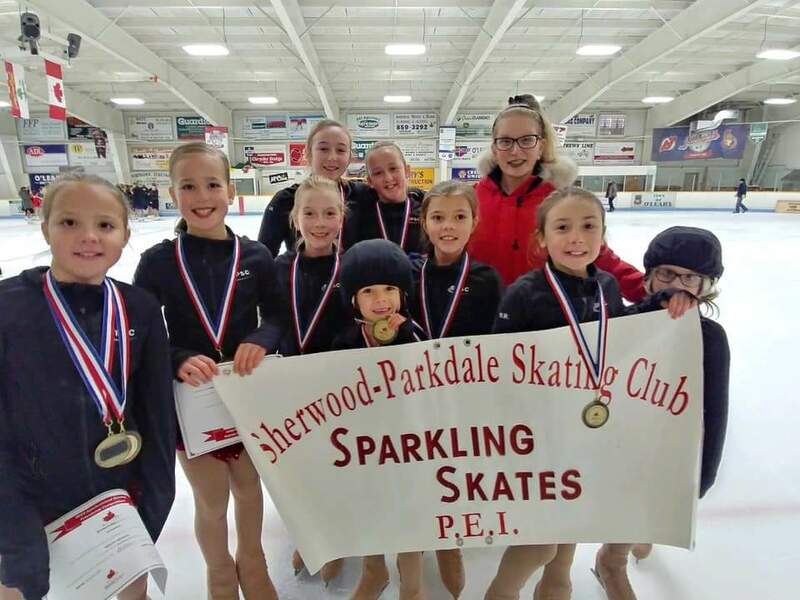 Congratulations to our Sparkling Skates achieving Silver at their very first event! Continue down this column for How to Register...easy as 1, 2, 3! Note for returning members or guests: please use your existing account. If you have forgotten your password, login with your e-mail address and choose password reset. Thank you. 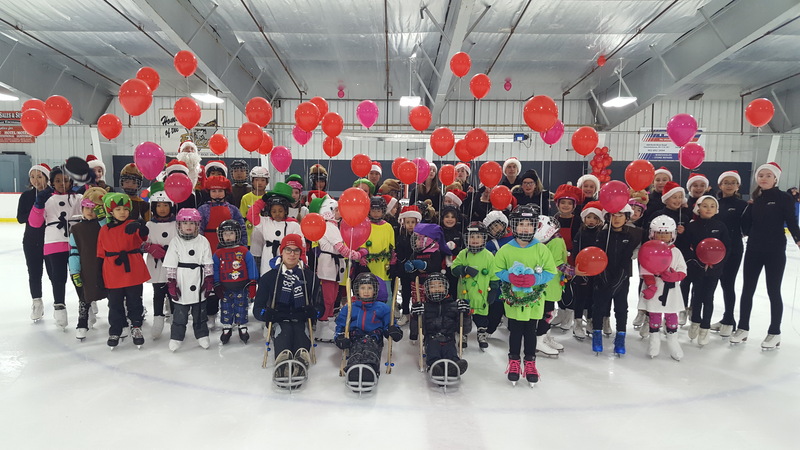 Sherwood Parkdale Skating Club offers programs in Pre-Canskate & Canskate-Learn to Skate, Sledge Canskate (in partnership with Parasport), STARskate, Competitive Skating, Adult Skating and Synchronized Skating. Take advantage of our "Welcome Back to Synchronized Skating" special discount fee for all Starskaters under 15yrs as of July 1st, 2018. 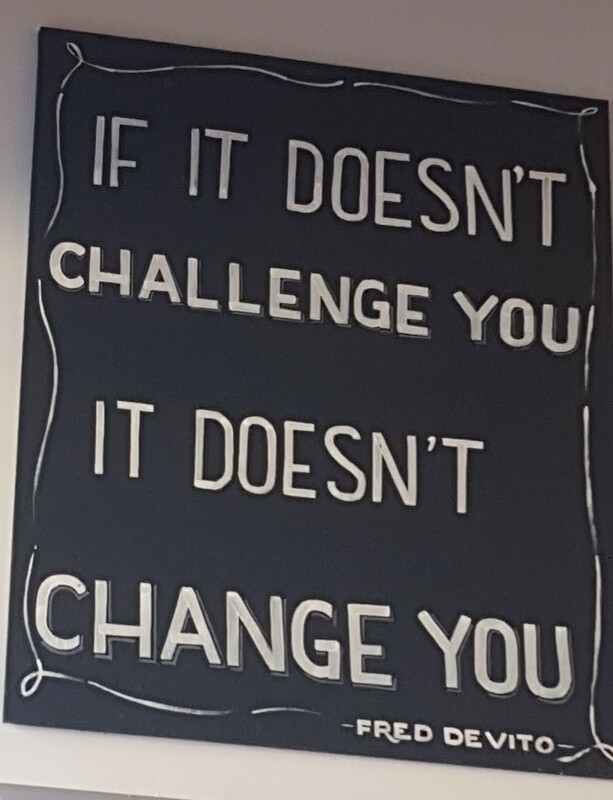 Our Adult Program continues to be successful! 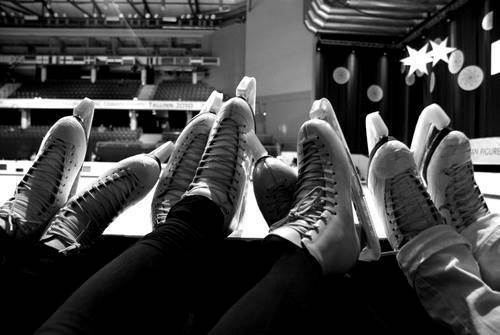 Come learn to skate or for the more experienced, have you tried Adult Synchro? For exercise, fun, and socializing, come join us for an adult evening out! Start by logging in and creating an account. Open up a computer, tablet, smartphone..... from where ever you are and it is as easy as that to register with the Sherwood Parkdale Skating Club! Follow our simple registration instructions (see below). 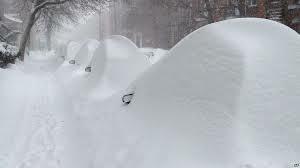 We are also available for any questions by calling 902-208-2811 or go to our Contact Us page and send a direct e-mail with your questions. We so look forward to seeing you and enjoy a season of skating! 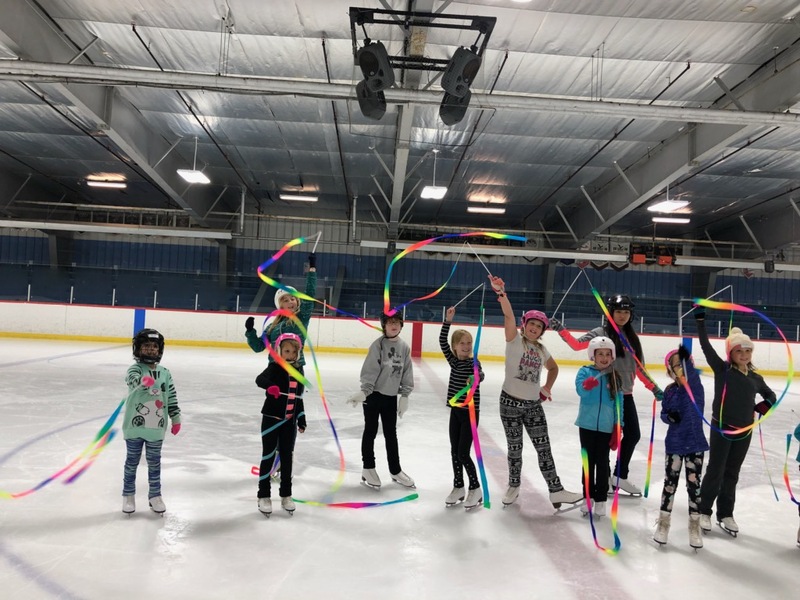 Fall and Winter programs run out the Cody Banks Arena in Sherwood, as well we have a Winter Community Program out of South Shore Actiplex in Crapaud. Read more about programs and times under "Programs" or "Schedules" on our Home Page menu bar. Skating is one of the most popular sports in the world today, come join us! Welcome to our registration site! Follow these step by step instructions: You can now register any time of the day or night from the comfort of home. Easy as 1-2-3. If this is your first time accessing the site, you will need to create a new login. Click the button in the top right corner. Complete all the fields on the account information page for the parent. This will generate a "family account", select "add participants" to add your children's names that you plan to register. Click on REGISTRATION to view our programs available and click "register". Before choosing to register you can click on "view more details" for that program or you can also go into the calendar for a broader view to gain more information. On our main page menu bar you will also find more program informaton. Each participant can register in more than one program by selecting "register for more programs". If you leave the page, any registrations you selected will hold for 30 minutes. When you return, click on your Shopping Cart at the top of the page and continue registering in more programs or choose to pay. All payments may be made by credit card or payment in person. Voila ! You are Registered! Payments by credit card or cheque have an installment option (payment dates will be noted on your account & invoice). All Cash and e-transfer payments must be paid in Full prior to the start of your program start date. 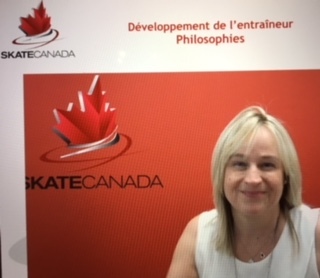 *please note: all participants must be a registered member of Skate Canada for the current Season and must pay the annual membership fee (September 1-August 31). Registrations will automatically add this subscription to your shopping cart. Before checking out view the side navigation bar for MORE PRODUCTS, VOLUNTEER SIGN UP AND MORE. PRODUCTS & SUBSCRIPTIONS includes items such as "Guest Skating", "Student Guest Skating" and "Part-time skating" for those participants who qualify, and Test Registration. If you have further questions, go to "Contact Us" on the main page menu bar and submit your question or request. Thank you and Welcome to the Sherwood Parkdale Skating Club.